In today’s marketplace, utilizing new technology is a necessity. Audio Visual (AV) technology such as video conferencing is transforming how companies of all sizes conduct business. Many companies are trusting video conference needs to managed service providers (MSP). A MSP ensures all installed systems are delivering the expected outcomes. However, MSPs alone aren’t enough to ensure your company’s systems are running at maximum efficiency. 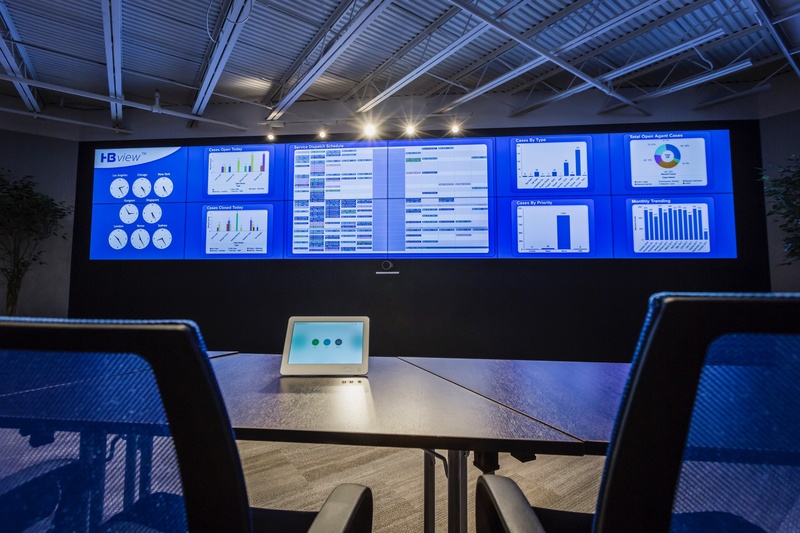 Remote monitoring and management (RMM) is a service that provides 24/7 monitoring and diagnostics to AV technology such as video conferencing systems. Let’s explore the many benefits of RMM and why it should be a part of your company’s business strategy. Monitoring existing technological systems has never been more important than it is in today’s marketplace. For various reasons—security, maintenance, malfunctions—constant monitoring and management of business technology has become the norm in every industry. RMM takes monitoring to the next level. Security and hardware issues are inevitable when leveraging multiple technologies, but RMM can identify potential issues in AV tech such as video conferencing systems before they cause major damage. Some RMM providers offer proactive sweeps designed by engineers to verify system operations and identify potential issues. Identifying possible issues within systems is just one of the many benefits RMM provides. Professional monitoring through RMMs also boosts productivity. Employee productivity is increased when video conferencing technology is consistent. Consistently clear audio and video quality provided through RMM improves productivity and job satisfaction. When systems are working properly and effectively, employees use them more frequently more efficiently. The proactive maintenance plans included in a RMM monitors all devices connected to a network. This proactive monitoring detects internet outages, low disk space, high CPU usage, and many other potentially crippling issues. With a RMM, productivity is boosted by reducing—or eliminating—idle time caused by network malfunctions. Alongside proactive maintenance and boosted productivity, RMMs also enables more efficient events and meetings. Video collaboration is the way of the future, but collaboration tech can be prone to glitches and user-error. Some RMM providers offer strategic staffing for events and meeting areas. Strategic staffing provides both ongoing audiovisual support as well as on-site event management. RMM strategic staffing increases operational efficiency and flexibility. As video conferencing continues to evolve, managing conferencing systems is becoming more difficult. Remote monitoring and management, however, simplifies the maintenance and streamlines the efficiency of systems. Through predictive monitoring, proactive sweeps, strategic staffing, and more, a RMM will boost the productivity and efficiency of both systems and employees. However, choosing a RMM is only half the battle. Finding a provider with the reputation and manpower to monitor your systems around the clock and provide exceptional support and services is critical to the overall success of a RMM. This is where HB communications comes in. HB Communication is a world class MSP and offers a new RMM—HBview—that is designed to ensure your video conferencing system is monitored and functioning efficiently as possible. If you want to learn more about RMMs, make sure to contact HB Communications about HBview here.